It was supposed to be an event highlighting an effort to recruit more conservative women into politics in Alberta, but it was overshadowed by the news that former Prime Minister Stephen Harper plans to personally campaign against New Democratic Party MLA Sandra Jansen in the next provincial election. Laureen Harper told a gathering at the launch of the She Leads group that she and her husband plan to campaign in the next election for whoever the United Conservative Party candidate is in their home Calgary-North West district. For UCP activists, and Jason Kenney in particular, the fight in Calgary-North West likely feels personal. Jansen was elected as a Progressive Conservative in 2012 and re-elected in 2015 before crossing the floor to the NDP in 2016. But Conservative anger was directed at Jansen before her floor-crossing. 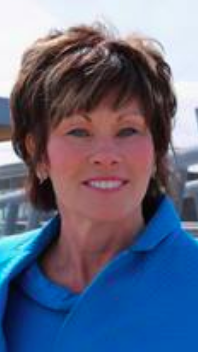 Jansen’s support for her friend Nirmala Naidoo, who ran as a Liberal candidate in the 2015 federal election, drew the ire of the legions of federal Conservatives who were moving to take over the PC Party following its defeat in the 2015 election (Naidoo’s Conservative competitor, now Member of Parliament Pat Kelly, is endorsing UCP nomination candidate and pipeline lobbyist Sonya Savage). Jansen attempted a mount a campaign for the leadership after her party’s disastrous results in the last election but was all but drummed out of the party by social conservatives allied with Kenney. Her moderate views on social issues like abortion and rights for sexual minorities, as well as her role as a former communications manager and key supporter of former premier Alison Redford contributed to the mounting tension from more hard-line conservatives. Her comment to her former colleague and now Conservative MP Len Webber that he “should go back to being an electrician” smacked of Tory elitism. Jansen accused Kenney of wanting to destroy the PC Party in his plans to merge with the Wildrose Party. And when push came to shove at the PC Party’s annual convention in 2016, Jansen was shoved hard by social conservative activists and soon after decided to leave the party. She joined the NDP and was appointed Minister of Infrastructure in 2017. For Conservative partisans, this was the biggest betrayal. As Minister of Infrastructure, Jansen has a powerful spot at the cabinet table, allowing her to champion the construction of big capital projects like the new Calgary Cancer Centre and the completion of the city’s ring road and the Green Line C-Train route. Jansen plays a big role in Premier Rachel Notley’s charm offensive in Calgary, but her tendency to get involved in petty arguments with Conservative partisans on social media distracts from the NDP government’s narrative. As I have written in the past, she could probably spend less time arguing on Twitter and more time trying to boost her government’s fortunes in Calgary. Regardless of whether Jansen wins or loses the next election, she should take it as a complement that a Conservative heavy hitter like Harper would personally campaign against her. She should wear it as a badge of honour. Harper likely remains popular among Conservatives in particular and Calgarians in general, and his support for Kenney’s UCP is not surprising. Harper endorsed Kenney’s leadership bid last year and was rumoured to be one of the driving forces behind the scenes in the PC-Wildrose unity referendum last year. Harper is now the chairman of the International Democratic Union, an international club of right-wing political parties from 63 countries. His congratulatory tweet to extreme right-wing Hungarian Prime Minister Viktor Orbán in April 2018 raised eyebrows among political watchers. Orbán was re-elected after campaigning on a platform that included hostile anti-immigrant rhetoric. But the federal Conservative connections to the UCP go deeper than Harper. Organizationally, the UCP has become an extension of the Conservative Party of Canada in Alberta, with most Conservative MPs actively involved or endorsing candidates in UCP nomination races. This is a significant change since the 1990s, when the provincial PC Party and the federal Reform Party were at each other throats. 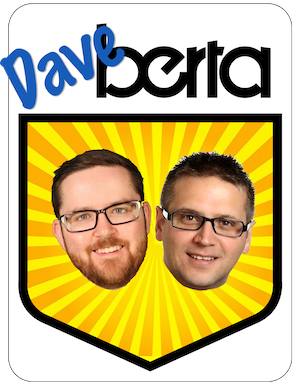 Despite forming the opposition, the UCP are not the underdogs going into the next election. The next election campaign will represent the first time in more than 25-years that the dominant federal and provincial conservative parties in Alberta will be marching in lock-step. While this may give Conservatives a big boost in an election campaign, it is yet to be seen whether a UCP government would stand up for the interests of Albertans over partisan gain if faced by a Conservative government in Ottawa. It is reminiscent of another election in Calgary-North West more than two decades ago. 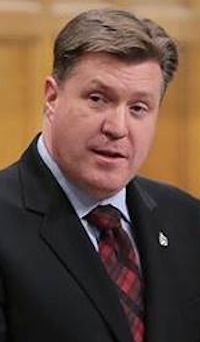 Liberal MLA Frank Bruseker had represented the district since 1989 and had become a major thorn in the side of Premier Ralph Klein going into the 1997 election. Bruseker was described at the time as being a relentless and ferocious critic of Klein during the Multi-Corp Inc. share affair, in which the premier was accused of promoting a company his wife had shares in. It was reported during that campaign that PC Party campaign manager Rod Love had a poster hanging in his office of Bruseker framed by the crosshairs of a rifle scope. 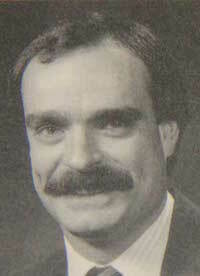 The PCs poured significant resources into Calgary-North West and, when the dust settled in March 1997, Bruseker was unseated by Tory Greg Melchin by a margin of 1,964 votes. This entry was posted in Alberta Politics and tagged Alberta Election 2019, Alberta NDP, Alberta PC Party, Alison Redford, Calgary Cancer Centre, Calgary Ring Road, Calgary-North West, Calgary-Rocky Ridge, Conservative Party of Canada, Frank Bruseker, Green Line, Greg Melchin, International Democratic Union, Jason Kenney, Laureen Harper, Len Webber, Multi-Corp Inc, Nirmala Naidoo, Pat Kelly, Rachel Notley, Ralph Klein, Rod Love, Stephen Harper, United Conservative Party, Viktor Orbán on July 26, 2018 by Dave Cournoyer. I think Notley has saved your asses from a bad (oil-price-driven) recession. Most of you have no idea of how lucky you are for this ‘accidental’ gov’t. As a BCer, I will welcome the Kenney clowns … they are much less effective at manufacturing consent for fossil fuels projects. Sandra Jansen simply expects not to be criticized at all just because she’s female. That is sexism 101. No one is saying that she can be criticized but but she can be criticized for her floorcrossing without being harassed, stalk and whatever else a lot of people that support the UCP have been doing to her in the last year and a half. She doesn’t need people like blaise boehmer to randomly bait her in a tweet pertaining to riding nominations. She does not need someone that lives outside of her constituency asking her a lot to golf with them. What I am saying is that the criticism people aim at Sandra at times gets to personal and they do not recognize that what they are doing is wrong. People need to step aside and recognize that what they are doing is wrong. Seriously? How many years have you spent in leadership as a woman? Until you walk a block in Her shoes, you are severely unequipped to know what issues we face. One being comments like yours the minute we fight back. You are dead wrong. Facing criticism is not the issue. Intimidation? Not very cool. As pointed out, it wasn’t exactly the smartest move to champion women in politics one moment and in the next one talk about defeating a woman who was hounded out of the PC party in a particularly vicious and nasty way. The UCP has only a few women who they like to highlight to obscure the fact that there really are so few women MLA’s and candidates in their party. I’ve noticed they also like make sure and put a few women behind the leader in all photo ops. I guess they figure Albertans are gullible enough to fall for it. I suspect you are correct and the UCP will pull out all the stops to defeat Jansen. She is a woman and she dared to stand up to Kenney and his ideas, which was probably doubly embarrassing for him, therefore she must be politically punished, silenced and eliminated. Just because Jansen is female doesn’t make her immune to criticism, especially about her baseless claim that she was bullied out of the party into a cabinet position with the NDP. It’s not baseless merely because one chooses to turn a blind eye and cover their ears. I kinda do think your point about jansen spending less time on twitter can apply to a lot of the other cabinet ministers to. Like they don’t need to tweet about something horrible that kenney or a ucp nominated candidate did. Like do people need to see a tweet from a cabinet minister asking kenney to apologize for something when other NDP MLA’s already said the exact same thing. Let the people that handle the official ABNDP social accounts deal with this stuff mostly instead of the cabinet ministers and other ABNDP spamming the feed asking kenney to apologize for something or to do something. If Stephen Harper comes knocking on my door, I hope he’s wearing the cowboy hat. 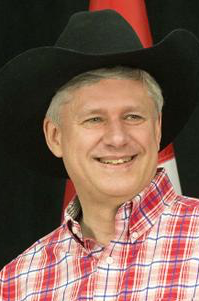 What is it about Harper that wearing a cowboy hat makes him look some very odd combination of sinister and ridiculous? I know not every poltician can pull off that Stampede cowboy look, but you would have thought being from Calgary he wouldn’t do it so badly. The black vest would be even better. Actually I believe the international group Mr. Harper heads could more correctly called Conservative political parties. The term “right wing; has many implications and is the preferred term used by liberal and left wing writers and politicians to describe their conservative opponents. The term “left wing” has the same implications. Neither terms contribute to positive discussions! Bill is wrong. Referring to someone as left or right wing is an accurate way of describing their views on the political spectrum. What’s wrong with that?